The Indian team, led by Prof. Rajesh Shukla, built capacity of undertaking public understanding of science research for over decade. Among others, two distinguished scholarly contributions include the publications of First India Science Report (2005) and First Indian Youth Report (2010) These reports are based on national surveys to provide a more holistic image of how the relationship between the public and S&T is changing to gauge the ‘scientific temper’ and public understanding. Indian team has been interacting with LSE since 2002, and co-organised the Royal Society meeting of November 2007. Additional data arise in North and Central India and hence a ‘cultural distance’ model of public understanding of science has been developed. The London team (LSE-STePS), led by Martin W Bauer, conducts comparative research on large scale surveys of public attitudes to science (Bauer; Gaskell). (Post)doctoral researchers work with their global databases of attitudes to science and mass media coverage of science and technology (see Bauer et al, 2006; Bauer, 2007; Bauer & Gaskell, 2002l; Bauer, 1998; Petkova et al. 1997). Recent work focussed on values in scientific controversies (Gaskell) and on longitudinal analysis of attitude change (Bauer). The Faculty of Linguistics and Literary Studies (LiLi) was founded in 1972. Its goals were interdisciplinary right from the very beginning, and it has always emphasized the connection between theoretical-systematic and practical applied research perspectives. The LiLi Faculty collaborates to a major extent in a number of larger research networks and projects including the MA Programme Interdisciplinary Media Studies and a working group ‘Science – Media – Public Sphere’. One of the main research interests of this group is ‘Science, Media and the Public’. Born 1986, is studying Educational Science (Diplom: equivalent to master’s degree) at Bielefeld University. In MACAS he is assisting Petra Pansegrau in the data analysis of German media. 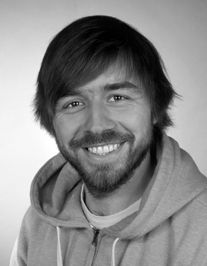 Beside he is an active member at the political organization SJD – Die Falken. The Observa (link: www.observa.it) team is working both on the side of media monitoring and on the side of indicators based on data derived from surveys. Concerning media monitoring, Observa realized an automated ICT system for tracking science and technology issues in the digital media. The system’s architecture is able to be adapted to different languages and topics, and to collect different sources of information (like online newspapers, blogs and others). It consists of a database, a query system for tagging S&T articles that can be adapted to different languages, and of a Web interface for users’ queries. The research team is made up of Science and Technology Studies Scholars and ICT experts, and has developed extensive multidisciplinary knowledge combining together science-society relationship, textual analysis and information retrieval. At the moment our database is collecting contents from different Italian online newspapers starting from 2008, and from 2013 of several Italian blogs and from three International English speaking newspapers, but can be expanded for new and other sources, like for example Twitter and social media. b) developing measures for the analysis of science-relevant “generations” in different countries, i.e. groups of age able to maximize the difference with respect to science knowledge and to attitudes toward science. Observa Science in Society is a non-profit, independent, legally recognized research centre promoting the study and discussion of the interaction among science, technology and society, with the aim of stimulating dialogue among researchers, policy makers and citizens. Observa’s activities are supervised by an international and interdisciplinary scientific committee. Through its activities, Observa has established collaborations with several national and international organizations, including the European Commission – DG Research, CERN, Lancaster University,Bielefeld University, University College London, University Pompeu Fabra Barcelona,Austrian Academy of Science, Gran Sasso National Laboratory, European Association of young biotechnologists. Federico Neresini (Ph.D. Sociology and Social Research) teaches Science, Technology and Society and Sociology of Knowledge at the University of Padua (Italy). He has been co-founder of STS-Italia (The Italian Society for Social Studies of Science and Technology – www.stsitalia.org) and of Observa – Science in Society. 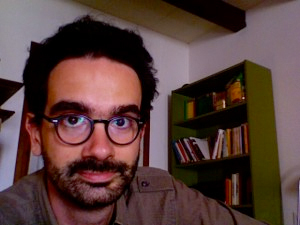 Member of the scientific board of the reviews “Rassegna Italiana di Sociologia” and “Tecnoscienza”, his main research interests are in the area of the sociology of science, focusing in particular on construction processes of scientific knowledge, public communication of science and social representations of science. His research activities have concerned biotechnology and nanotechnology; now he is working on the relationship between big-data and scientific research, as well as on the implications of big-data for the social sciences. He published several articles in international journals – such as Nature, Science, Public Understanding of Science, Science Communication and New Genetics and Society – and some books. Her main research interests are in the field of statistics as support to decision making processes, particularly concerning health, education and social policies. This interest has brought to the collaboration and to the leading of several researches concerning evaluation, needs analysis, information systems, and quality of life. Specific skills are been acquired in the field of social research, particularly concerning data collection (sample design and questionnaires definition), development of measures (set of indicators and indexes) and communication of results. 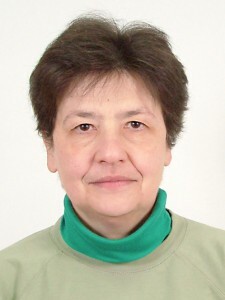 She collaborates with several institution and research centers (among other International Training Centre of ILO, Padova University, Cà Foscari University, Observa Science and Society, ISZVe, Regional Government). 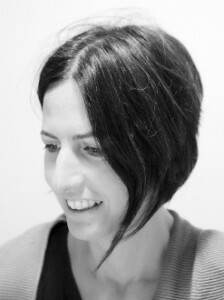 Andrea Lorenzet, PhD in Sociology and Social Research, University of Trento (2008), is a sociologist of science and technology and expert in science communication. He is now post-doc researcher at the University of Padova, where he studies the relationship between science, media and democracy in technoscientific controversies, i.e. the public debates on research and innovation such as nanotechnology, biotechnology, and renewable energy, with particular attention to the issue of digital science communication. He has been recently working on text mining techniques and software for the analysis of large textual data. He has been collaborator of Observa Science in Society since 2004 for several European Projects such as Physics on Stage 3, Biopop, and Decide, and he is part of the Macospol Consortium (Mapping Controversies in Science for Politics). In Turkey (Bilgi University), Professor Ahmet Suerdem analyses political discourse sing qualitative techniques, network formalism, and their integration with quantitative echniques. 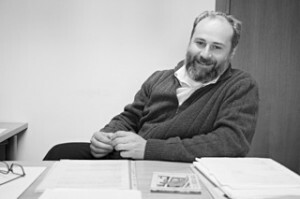 His research shows how textual meaning networks is embedded in patterns of institutional and social practices, as in the comparison of populist and technocratic discourses (Suerdem 2009); social simulations (Suerdem and Albayrak 2009); mapping policy actors into policy discourse communities (Suerdem 2010) and discursive construction of GMO-related risk perceptions (Suerdem and Veltri forthcoming).